An entrepreneur at heart, in 2012, Maria was working through unsatisfying jobs just to make ends meet, between failed businesses of her own. Moving to a different state provided some distance from the family she had been slowly growing away from. Living for years in a constant state of anger made Maria a suspicious and fearful person. Although she felt trapped in unhealthy relationships, she focused her energy on trying to rigidly restrain everything in her life rather than letting go of what was no longer working and taking the fundamental actions necessary to achieve happiness. Maria describes herself, at that time, as “damaged and unfixable”. After years of pursing self-development programs on her own, Maria was familiar with Tony and his work from television programs and news articles, but still remained skeptical of how even he could make a dent in the armor she had spent years created around herself. After friends who had attended Unleash the Power Within urged her to go, even offering to come along with her for support, she reluctantly agreed to take the step forward that would change everything. What needs to Happen for You to be Happy? Before arriving, Maria half-expected the crowd to be judgmental, strange or just plain odd, what truly shocked her was the genuine and supportive tone of everyone she encountered. Having been told stories about attendees being personally chosen by Tony to join him on stage for a direct, personal intervention, she prayed that he would find her in the audience. Her cynicism already giving way to a more active approach to achieving her goals, Maria decided to do whatever it took to create the experience she wanted. “Just be ready!” Her friends advised. When the moment arrived, Tony asked the crowd who needed help. Maria’s hand shot up into the spotlight and Tony brought her up, beneath the video projection screens, in front of thousands of other fellow attendees. Maria surprised herself with the simplicity of her answer. “I just want to stop feeling like I have to control everything. I want to stop feeling like everything has to go my way and be fair.” She felt the immediate connection of Tony’s understanding as she opened up. Breaking it down for her, Tony empathically explained to Maria how she had been carrying around a toxic blueprint of unattainable perfection, virtually insuring that she could never achieve the happiness she knew she wanted. This was the “ah-ha moment” she had been dreaming about, but the very last thing she’d actually expected was to experience the breakthrough of a lifetime on stage with Tony, in front of everyone. She can still feel the reverberation of Tony’s words, “You just described to me the blueprint of someone who hates themselves.” Her problems all reduced down to fear. “If somebody could have shown me a snapshot, back in 2012, of what my life is like now I wouldn’t believe them!” Maria had expected to learn tools and techniques she could begin working on at home, but what still makes her glow is the immediate sense of rejuvenation and passion for life after the event. And since her Unleash the Power Within experience in 2012, Maria has maintained her transformation through lasting results and consistent action. She overhauled her diet, began exercising and lost 45 pounds that she’s kept off. She was able to recognize, with clarity, why the dysfunctional relationship with her ex-boyfriend needed to end and is now happily involved with someone who supports her personal growth. Maria has become one of those ecstatically happy people who truly loves their life, able to find the joy in even the smallest moments. Best of all, she is now pursuing a new career that culminates everything she’s learned over the past few years with her skills, talents and passion. 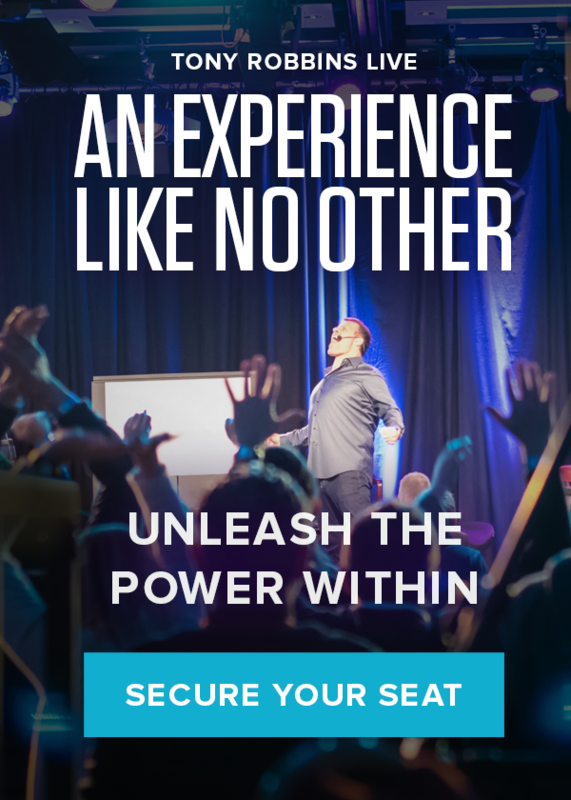 At Unleash the Power Within, you will be able to develop the understanding and skills to breakthrough whatever is holding you back from the life you truly want to live. Just like Maria’s incredible experience, you will learn how to become a stronger, more resourceful and more powerful person in just one incredible weekend.